It’s been some time since I’ve posted for five things Friday. It’s also been some time since we returned from our visit to Australia. 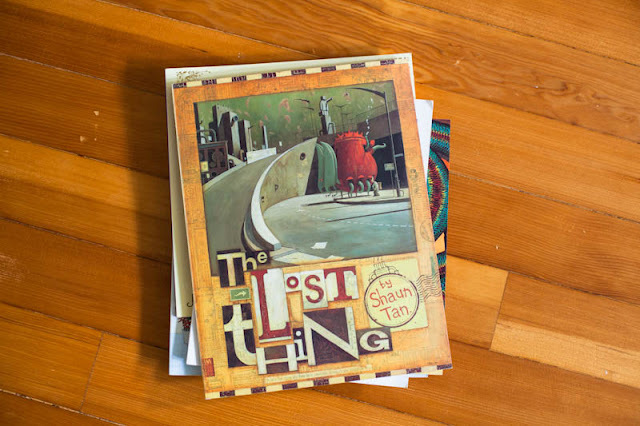 So it seems appropriate that this Five Things post features goodies that we bought back from our trip all those weeks ago. I really should take an extra suitcase just to carry all the books I bring home with me from Australia. Many of them can’t be ordered through Amazon and those that you can buy in the States are “translated” to American English. I prefer to pay good money in Australia to see a “u” in favourite and read words like petrol instead of gas and torch instead of flashlight. But, I digress. On to the list. Note: you can buy this book on Amazon in the US for about $100 but I recommend getting an Australian Pen Pal to send you one. I paid about $15 Australian. Thomas became very interested in Aboriginal culture during our latest trip home so, when I spotted this book that I recognized from my own childhood, I just had to add it to our already too-heavy luggage. 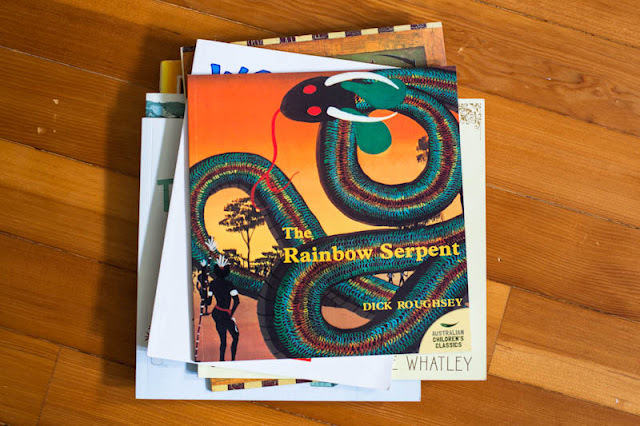 The Rainbow Serpent tells an aboriginal dreamtime story about how the earth became populated with animals. 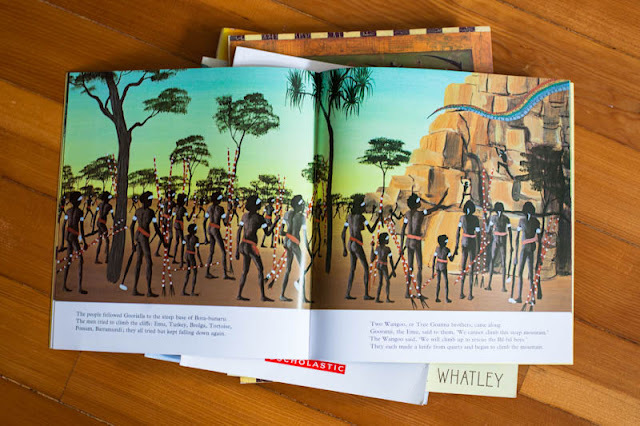 There are a number of versions of this story available but I love the traditional aboriginal style illustrations in this one. A true classic. 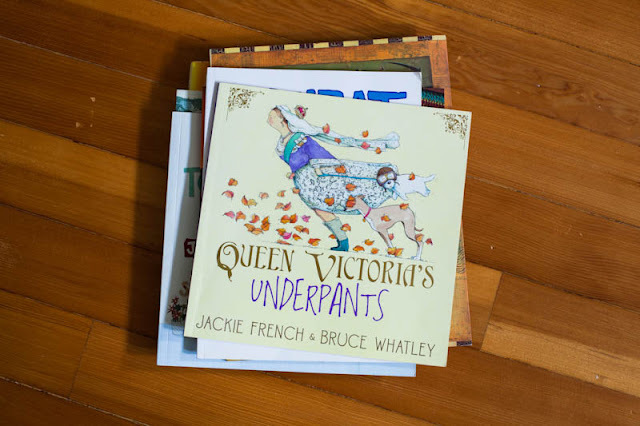 I am a huge fan of this Author-Illustrator team (see also Peet the Sheep-Sheep, Diary of a Wombat and Too Many Pears), so I was thrilled to spot this book about a lady who made the very first pair of underwear for Queen Victoria. 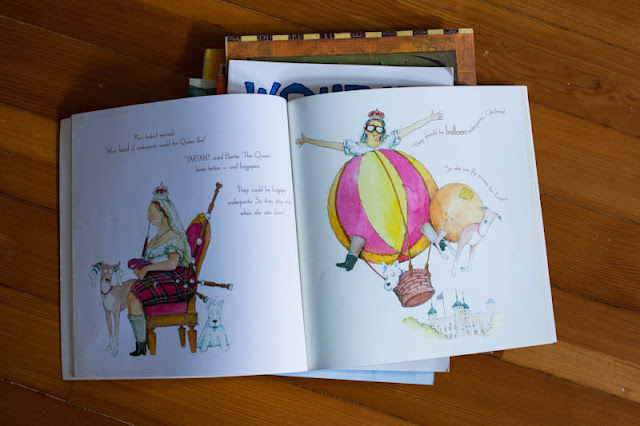 It’s fun, it’s funny and the illustrations are, of course, adorable. I think I may like this book a lot more than my children do. This book is a little strange but in the best way possible. 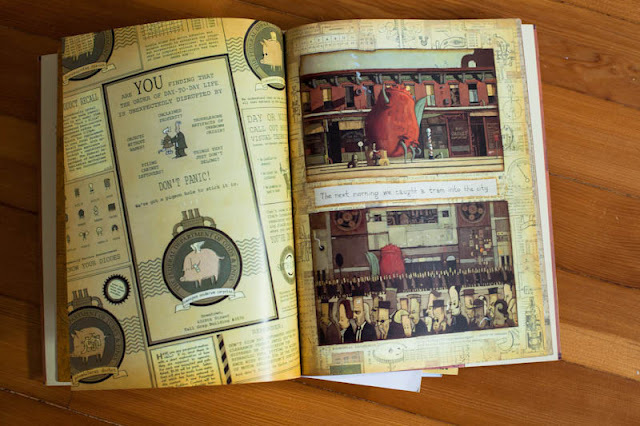 The artwork (yes, artwork) is incredible and so detailed that I know the kids and I will be finding new hidden treasures in the images for years to come. I recently ordered Tales from Outer Suburbia to put aside as a Xmas gift for the kids and, if I’m being honest, it might be more of a gift for me than for them. This is another book that you might want to get from an Aussie friend ($350, seriously Amazon?). 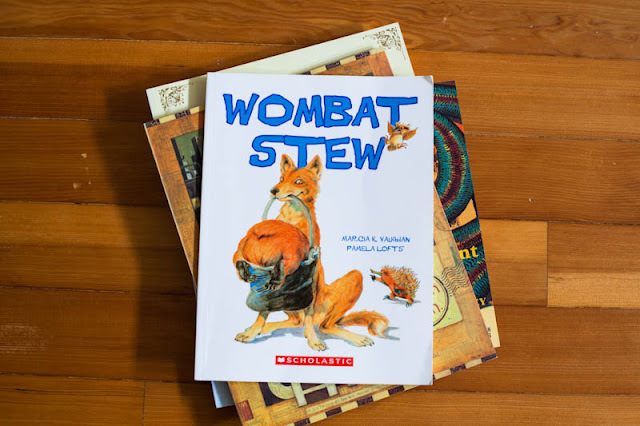 A fun, classic story about a Dingo who is looking forward to a meal of Wombat Stew but is outsmarted by a bunch of other Aussie animals that come to the wombat’s rescue. It reads like Stone Soup but with a much less happy ending for the Dingo. I realize that this is yet another Jackie French/Bruce Whatley entry on the list, but this one had to be included. It’s not the happiest of stories and probably won’t be one that the kids want to read again and again but it’s a piece of art. 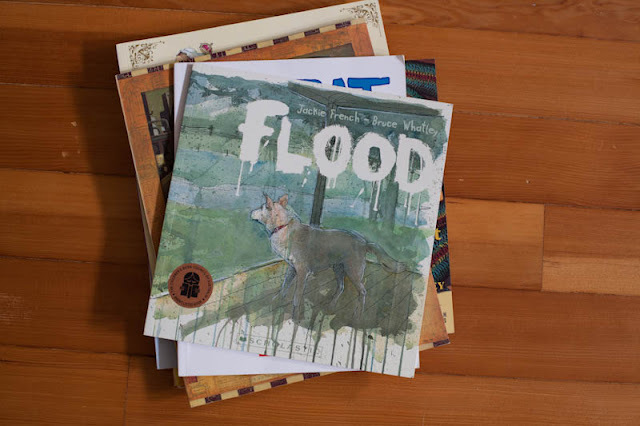 Flood tells the story of the 2011 Queensland floods from the perspective of a cattle dog that has been separated from his family. It’s moving and sad and beautiful. 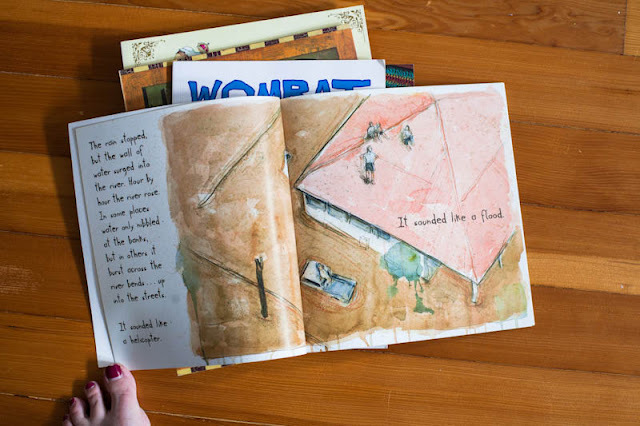 You’ll notice that the illustrations have a much different feel to other Whatley-illustrated books that I’ve shared and that’s because he decided that, for this story, he would paint in watercolor and with his left hand to provide a unique, melancholy look. Incredible! (Please excuse my badly painted toes in this photo. The book refused to stay open on its own). So, there you have it. A collection of new books that are apparently way more expensive to buy in America than I had anticipated. If you have to have one of these books and don’t have a friend in Australia to send you a copy, you should either a. find yourself an Aussie friend (I have it on good authority that Aussies are awesome) or b. consider purchasing from Readings, one of the best independent bookstores in Australia. They ship internationally for a flat fee. Let me know if you have any of these books and what you think of them. And, please, share your own favourites in the comments. 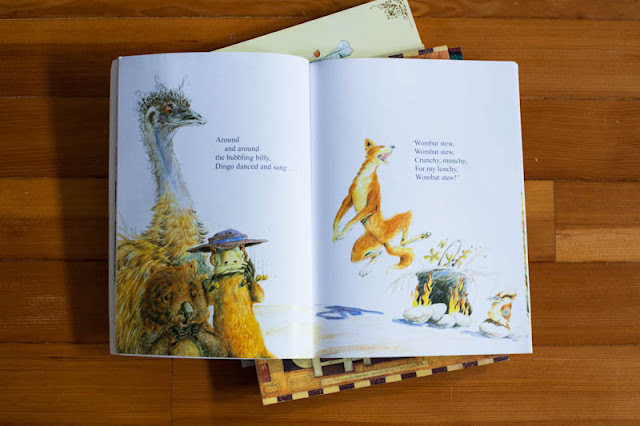 I’m always on the lookout for great children’s books and, with Christmas around the corner, I have the perfect excuse to stock our library. This entry was posted in Australia, Five Things Friday, Motherhood. Bookmark the permalink.